Ape Action Africa, a non-profit dedicated to the conservation of endangered chimpanzees, gorillas, and monkeys, was founded in 1996. Ape Action Africa, a non-profit dedicated to the conservation of endangered chimpanzees, gorillas, and monkeys, was founded in 1996. 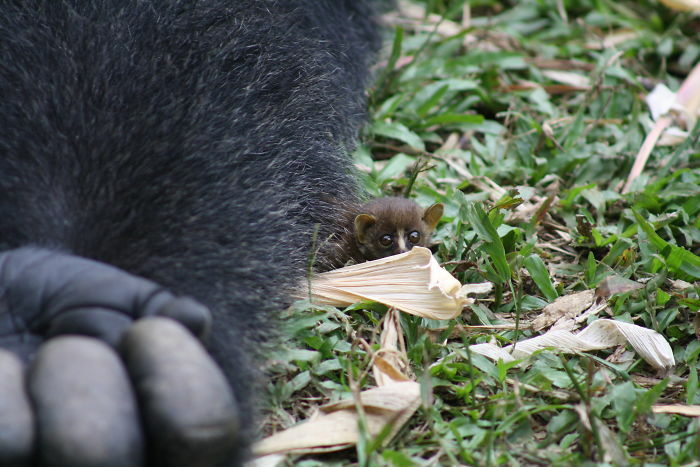 However, their ape inhabitants are still discovering new ways to surprise these experienced caregivers. 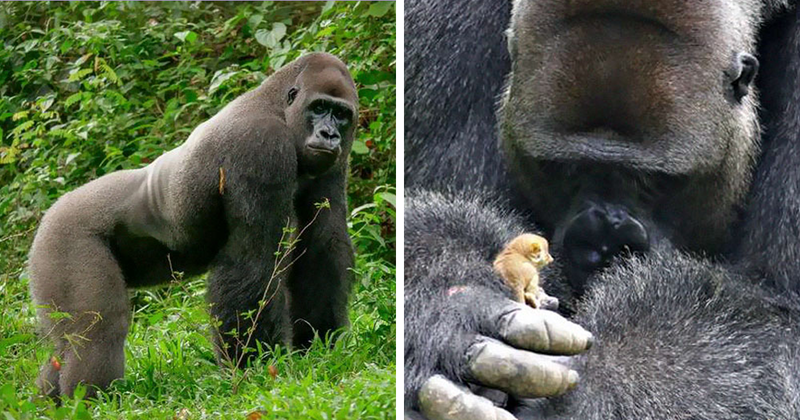 Bobo, a Western Lowland Gorilla which was rescued by the organization in 1996, has recently made a new friend, and their relationship is perhaps the most unusual you could think of. 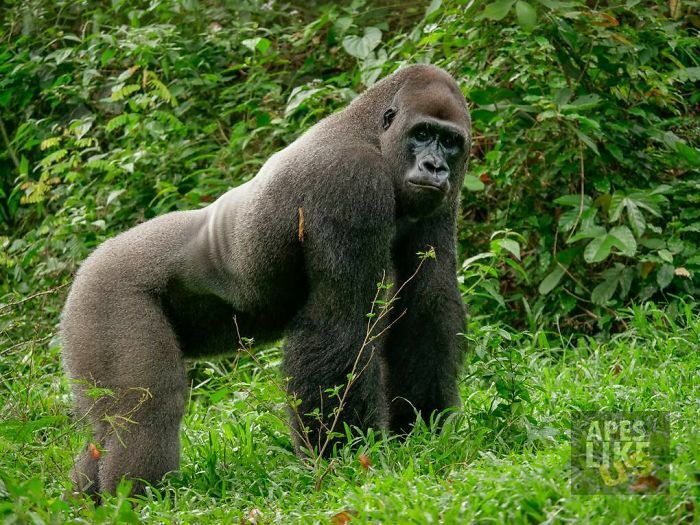 Bobo is the dominant male of his group, which includes three females and three males. 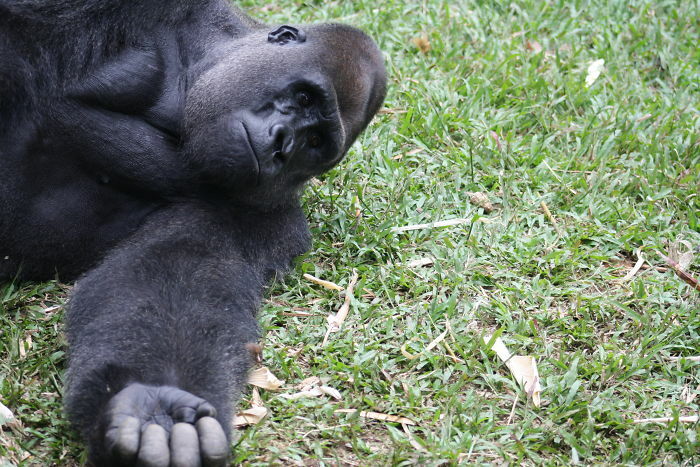 Kibu and Nkamum are the younger males who have challenged Bobo for his position. However, they were never successful and they no longer attempt to take control. 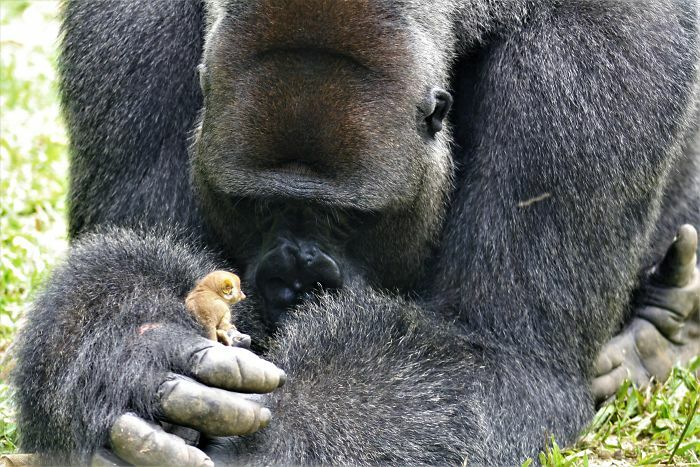 Yet, it's now clear that the giant has a gentle side too. 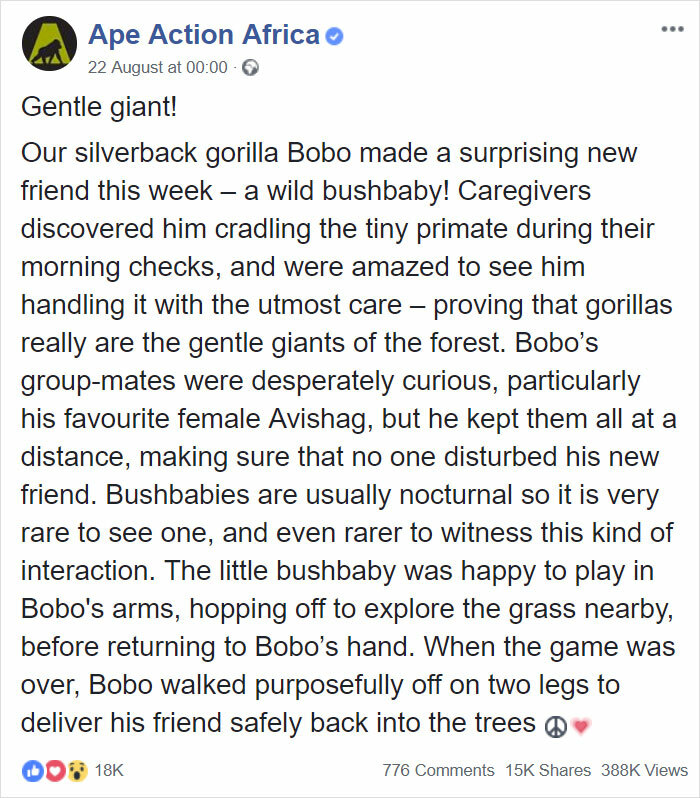 Bobo’s gang was even interested in what was happening. 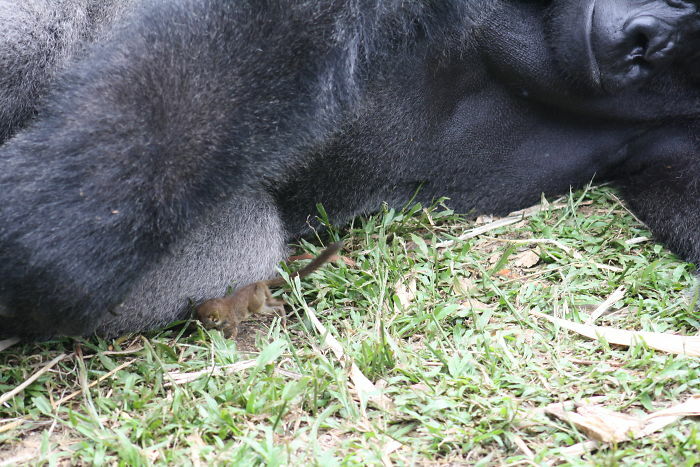 All in all, the group spent at least two hours together before the gorilla returned his new mate to a set of trees within his enclosure, and the bush baby vanished from view. With over 300 primates in its care, Ape Action Africa is now one of the most significant conservation projects of its kind in Africa. 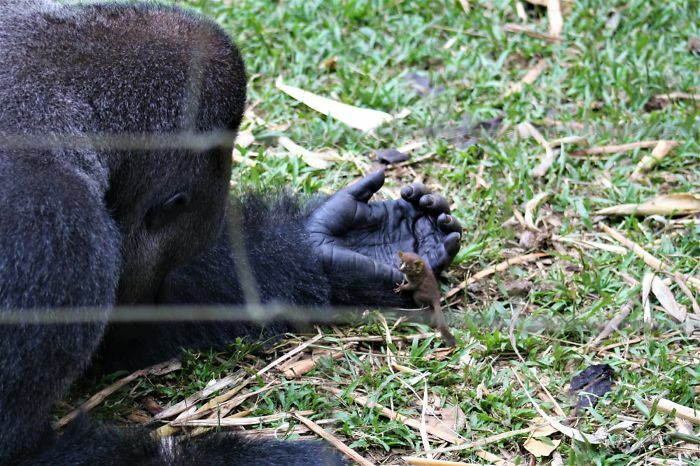 A lot of the animals end up at the sanctuary as orphans, mainly due to the illegal bushmeat and pet trades. Both threats have recently grown as a result of deforestation, and international demand for exotic meat and live animals as pets and zoo exhibits. Click here to learn more about their fight and donate to the cause.